We are hosting our first mega-event Raas for a Cause in Jacksonville. 100% of proceeds go to the cause. Let us open our hearts to these kids. 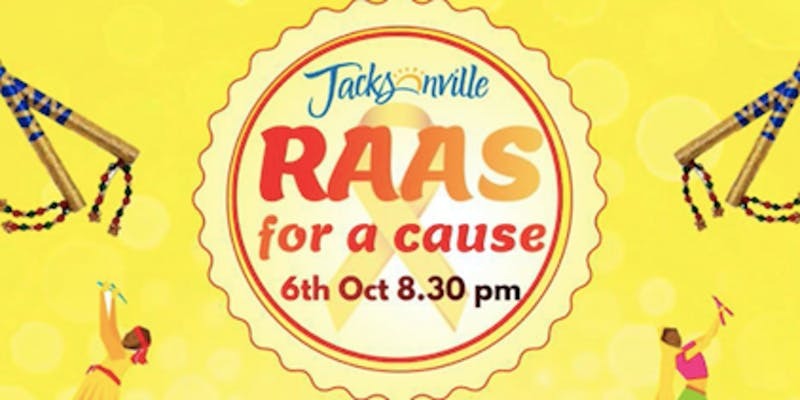 What: Raas for a Cause - An evening of dance, music and delicious street food. Free beginners tutorial included. When: Saturday, October 6, 2018 from 8:00 pm. Jacksonville is one of the youngest members of Access Life America. But being a baby of this family will not stop us from making the biggest impact on these kids lives. 1 ticket helps support 1 kid for a day. Tickets are only $10 per person for a limited time. Make a bigger difference by becoming a sponsor. Sponsorship levels start at $125 and include 4 free tickets. Call Deepa Patel at 904-887-4621, Kavita Parikh at 904-534-4665 or Chitra Pudhucode at 904-571-6851 to buy tickets. Or buy online by clicking the button below.